THE UK IS FAMOUS FOR MUSEUMS SUCH AS THE TATE MODERN, THE NATIONAL HISTORY MUSEUM AND THE BRITISH MUSEUM. BUT THERE ARE HUNDREDS OF OTHER LESSER-KNOWN MUSEUMS THAT ARE EQUALLY FASCINATING. AND MANY MUSEUMS ARE ACTUALLY IN THE HOUSES WHERE THE FAMOUS PERSON ONCE LIVED. HERE ARE SOME OF THE BEST HOUSE MUSEUMS IN THE UK. House museums are in a special category of their own. For a start, they give you a fascinating insight into the life of the famous person. You can see where they lived, how they lived and where they created some of their finestworks. 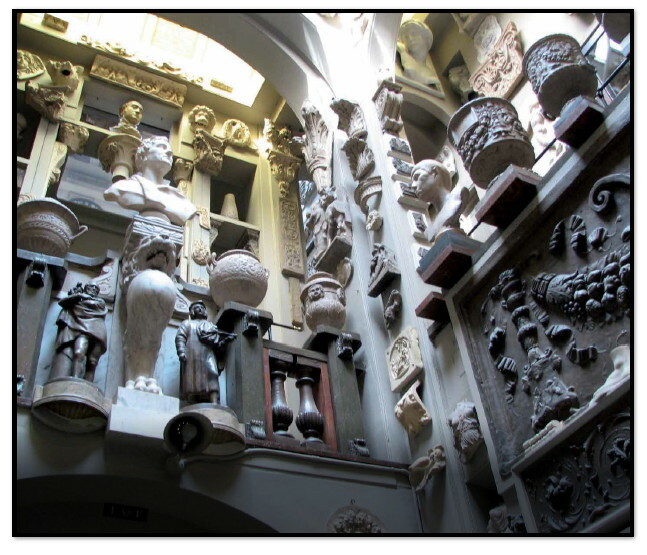 Sir John Soane’s Museum in London is a great example of a house museum. Sir John lived in London during the 18th century (1753-1837) and his house is exactly as he left it. In fact, visiting the house is just like stepping back in time. It’s full of thousands of weird and wonderful objects from around the world, including valuable paintings, beautiful sculptures and an Egyptian mummy.